Color: Usually gray to black in color. 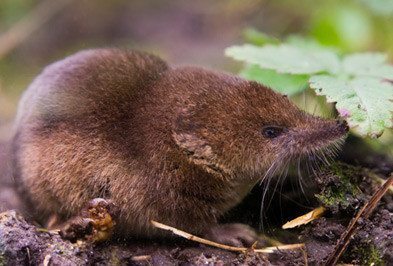 Characteristics: Shrews are small, mole-like mammals that look a bit like long-nosed mice. They have an elongated snout with dense fur of a uniform color, usually gray to black with small eyes and five clawed toes on each foot. Size: They range in size from 2 inches long to 6 inches long, depending on the species and most don’t weigh much more than a couple of ounces. Why Do I Have A Shrew Problem? Shrews live in gardens and wooded areas where food supplies are abundant. What Kind Of Threat Do Shrews Pose? Shrews normally live outdoors where they forage for food in leaf litter and dense vegetation, but some shrews can climb trees, live underground, under snow and they have even been known to hunt in water. The aggressive nature of these mammals makes them a problem if they live near homes or businesses. They have a venomous bite which can help them subdue their prey, but their bite is also quite painful to humans. They have been known to attack birds, pets and chipmunks at feeders. They will contaminate food supplies with their feces and urine and there is potential that they may transmit diseases or parasites, but this is not known for certain. How Do I Control Shrews? Controlling shrews on your own can be very difficult. These creatures are very fast movers and very aggressive. If you have shrews that are infesting your property, contacting a professional pest control company is your best chance of getting rid of these pests. The professionals at Holder’s Pest Solutions have all the tools and knowledge necessary to help you get rid of shrews and keep them from returning. If you have a shrew problem in Houston, please contact Holder’stoday for your first inspection.